Nutrigenomics is an exciting field of science that is helping to unlock the mystery of aging. 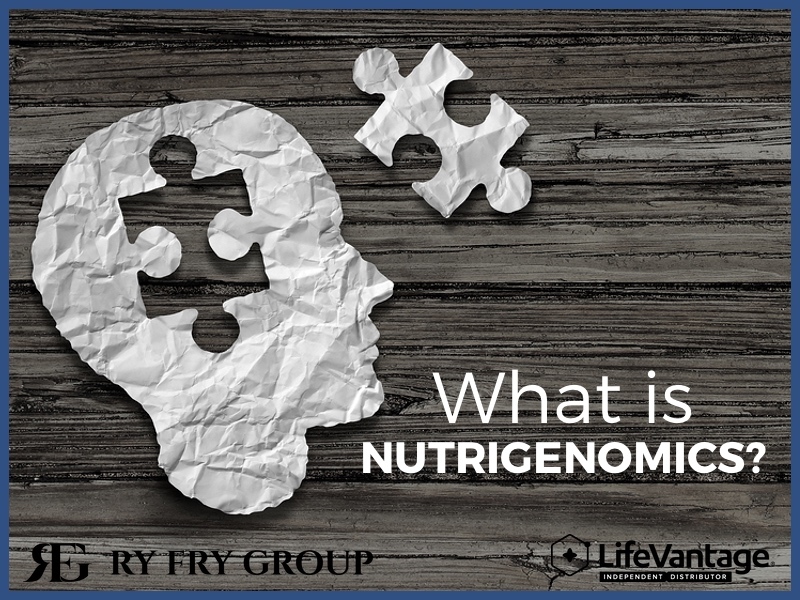 This video “What is Nutrigenomics?” gives an overview. Let’s break down some of the points covered in the video. Nutrigenomics is the scientific study of the interaction of nutrition and genes. LifeVantage is focused on using nutrition to improve the way our cells work. When our cells are working at peak function, we have the best chance for a long and healthy lifespan. LifeVantage helps customers biohack their body with Nutrigenomic-inspired products to take control of their health. Our bodies are composed of trillions of busy cells. Each one is a tiny motor powering a specific process. But cells don’t function flawlessly. External and internal forces cause them to malfunction. The external forces are things everyone encounters during their life. The things that damage cells internally are byproducts of the process cells use to create energy. (Clearly, human evolution has a long way to go.) Oxidative stress is the term for free radical damage. Two Nutrigenomic technologies developed by LifeVantage are NRF1 and NRF2. These are cell proteins. NRF1 is a protein that regulates mitochondrial biogenesis. Mitochondria produce energy in the cells. Mitochondria burns carbohydrates, fats, and amino acids to produce energy. This burning or “oxidation” produces ATP. ATP powers all the processes that keep us alive. NRF1 increases mitochondria production and NRF2 protects the cells from the oxidation that is an inevitable byproduct. When you stimulate the NRF2 protein, you boost its ability to fight oxidative stress. By taking NRF2, you suppress the free radical production so you can get more benefit from the mitochondrial effects of NRF1. LifeVantage has an impressive line of products that protect you from the biochemical impact of aging. LifeVantage has developed products to extend life and improve the quality of life. But one’s quality of life doesn’t just depend on physical health. Financial freedom is the ultimate complement to vibrant physical health. That’s the complete package: physical and financial health. Buy LifeVantage products now. This is Adam Green, and I am a LifeVantage Independent Distributor in Millcreek. I sell industry-leading nutritionals and fitness essentials. My favorite products include LifeVantage Omega Oil. The information on this website is provided for informational purposes. It is not to be a an alternative to informed medical counsel or care. You should not use this information to diagnose or treat any health matters or illnesses without consulting with your medical provider.